Great success for Near at Selvino Adventure Park. Coupons and notifications, in fact, can now enrich the experience inside the park…and more. Hence, get ready to start the adventure! Located on the plateau overlooking the Val Seriana, 22 km north-east from the orobico (Eastern Lombard) capital, is Selvino, a town of 2000 inhabitants surrounded by greenery and the mountains Perello, Podona, Poieto and Purito. 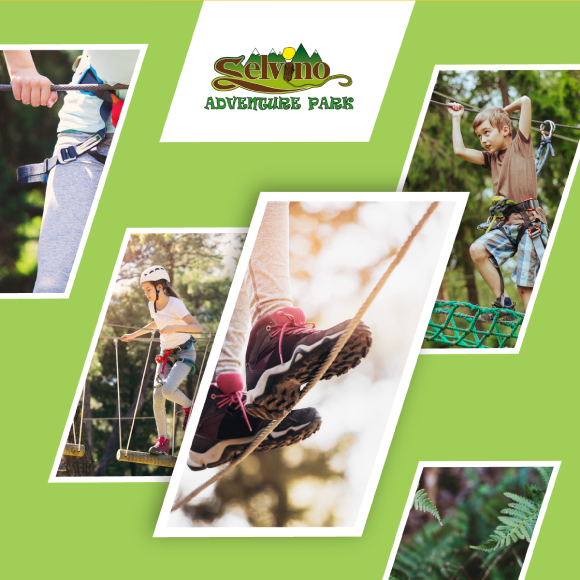 Right at the top of the last mountain is the Selvino Adventure Park, a place where you can try high acrobatic obstacles moving from tree to tree using lianas (a wooden climbing plant), Tibetan bridges, cables, nets and walkways. All in extreme security. The Selvino adventure park offers 7 paths totally immersed in nature, suitable for any type of “adventurer”: from children to the elderly. With such a strong experiential context, the digital experience could not be missing. “Promote Selvino all year” is the main need of the owner of the app. A beautiful territory such as Selvino can only showcase most of the services it offers for touristic purposes. Winter and summer offer equally important tourism opportunities to be exploited . The touristic scene of these places often consists of regulars who leave the big city over the weekend to pour into its valleys. It is important to maintain the degree of appreciation and loyalty of this type of guests. Hence, the strong desire to adopt a new and innovative system able to keep these relationships alive with a view of creating a lasting trust based relationship. 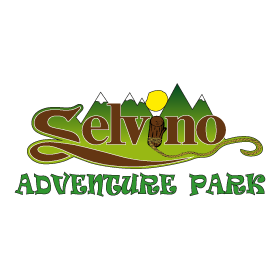 Selvino Adventure Park is a fine example of the application of NearIT (and its services) to the field of “leisure and tourism”. The Park (and Selvino Sport) offers the opportunity to see Contextual Mobile Engagement applied to the territory context, to promote and renew it, highlighting its main attractions, first of all the Adventure Park, promoter of the entire initiative. As mentioned above, the clientele of reference in an application of this type consists mainly of frequent visitors or tourists. A varied public, but characterized by the same common denominator: the desire to have fun, to know the territory and maybe get some benefit from proven loyalty. Precisely what NearIT decided to do for Selvino. It was decided to use geofence and beacons to facilitate a guided visitor experience inside the park… and much more! In fact, a welcome message greeted tourists upon their arrival in the area concerned, while a request for an assessment of their experience is sent when they return home. This allows the app owner to bring home important data that can shed light on the level of satisfaction of the customers and be able to intervene (where possible) to avoid disappointing them. 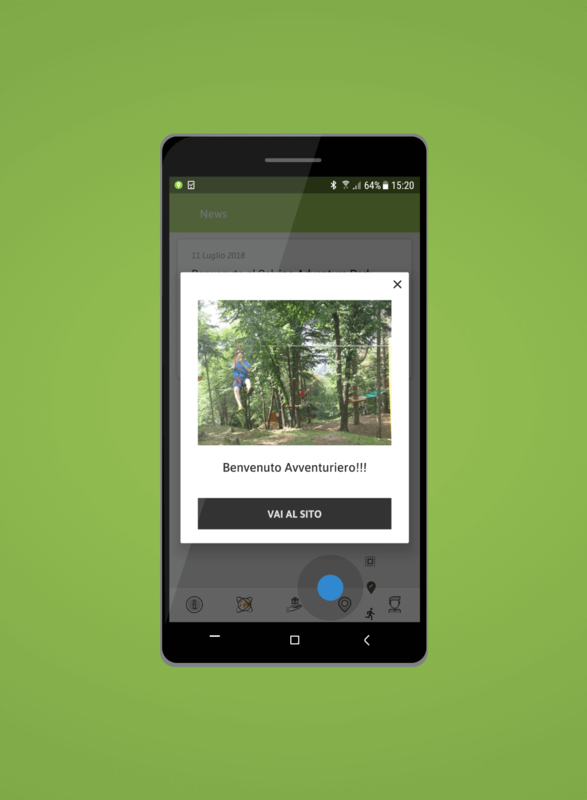 Informative notifications with photographic content and links to the site are sent in a strategic way based on the position of users and highly contextualized messages help share information on the opening hours of the pools or the adventure park itself. Even the commercial activities in the area can take advantage by attracting customers through sending them discount coupons or free consumptions to be used at their points of sale. Inaugurated on the occasion of the White Night, June 30th, the app has enjoyed some success and managed to deliver as many as 104 notifications in a few hours. Thanks to NearIT, fun and adventure are guaranteed in Selvino!